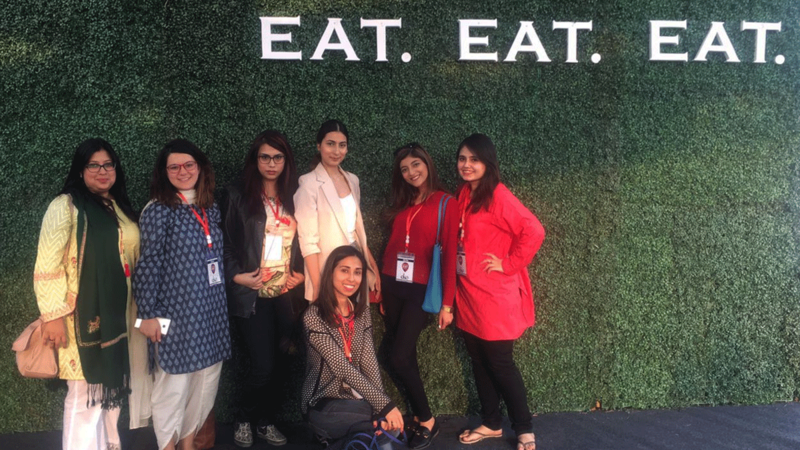 Karachi Eat Festival held its sixth consecutive edition last weekend. 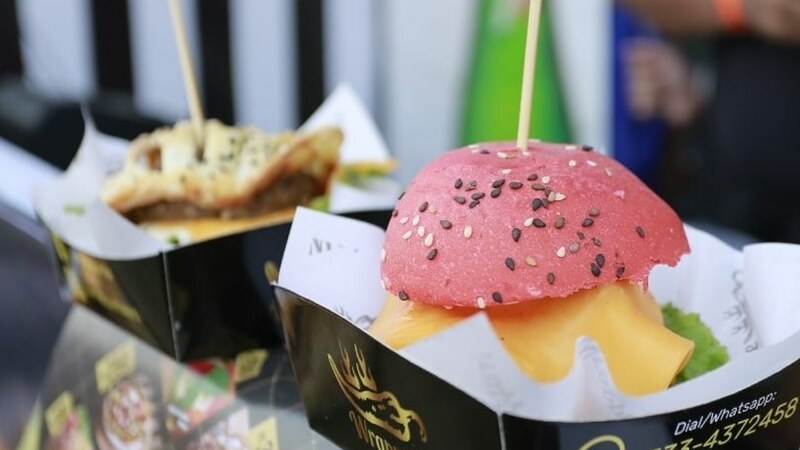 Featuring a little over 95 stalls, this year's KEF at Beach Park, Sea View focused more on festival-exclusive foods and new eateries, with many aspiring restaurateurs launching their brands and established brands testing new menu items in front of an estimated 200,000 customers. Yet, Karachi keeps coming back for more. 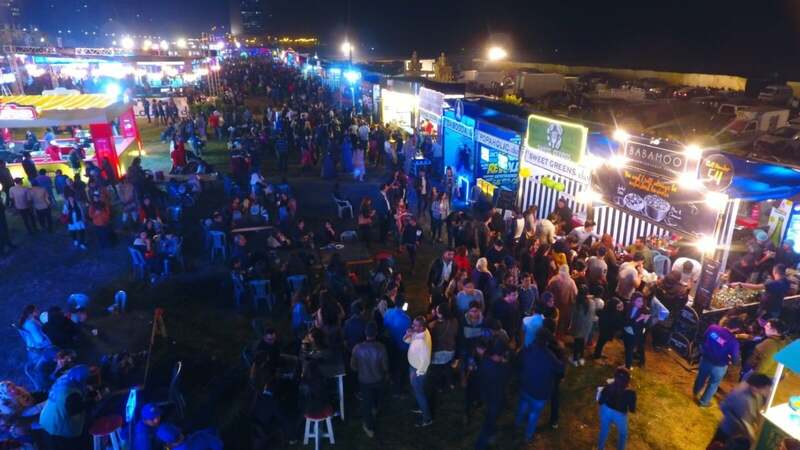 After surviving a vetting process that sieved KEF 2019's 400+ applicants to about 95 finalists, food vendors paid Rs50,000 for their standard sized stall from where they prepared and served food throughout the three-day fest. Prices of food items were capped at Rs350 (with a few exceptions). According to testimonies by multiple vendors, many stalls at KEF earned a handsome profit. "The stalls pay anywhere between zero to Rs50,000. A lot of our stalls are given for free as they are home-based. We provide them with the structure, tables, chairs, tablecloths, lighting, electricity, etc," shares Omar Omari of CKO. 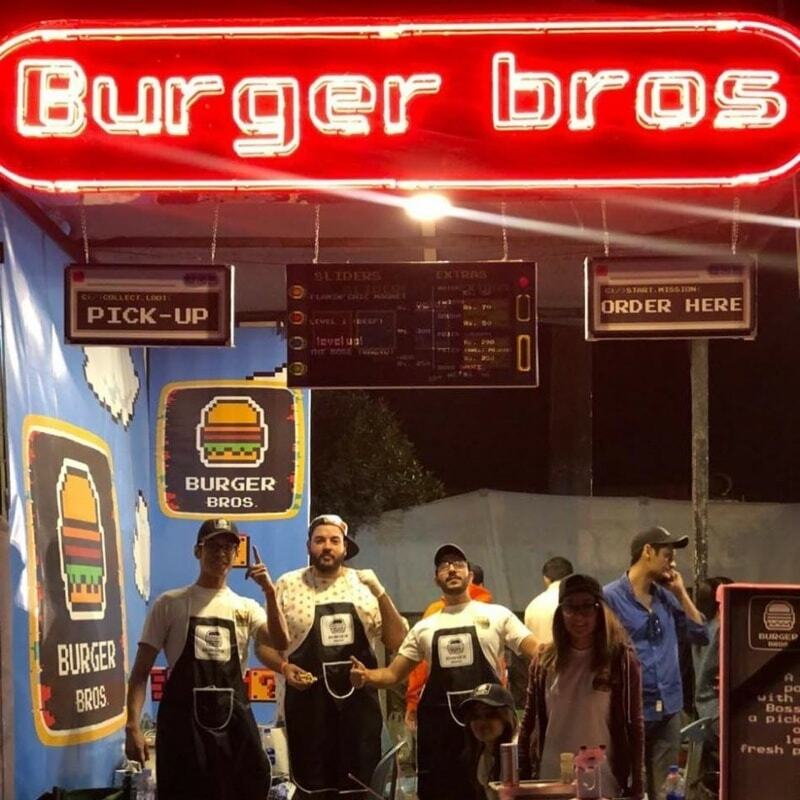 Reem Durrani, one of the four partners of Burger Bros, shared, "We didn’t think we’d be in so much demand but our line stretched so far and people waited over an hour and a half at times. Our sales were amazing. We did way better than we thought we would." "We sold out every day before event closure even though we brought [an increasing amount of] inventory each day," said Churrosity owner Farrukh. "The sales were great. We ran out of stock multiple times because we grossly underestimated the demand," Pizza L'oven's Mujtaba Raza told us. But not everyone's happy. 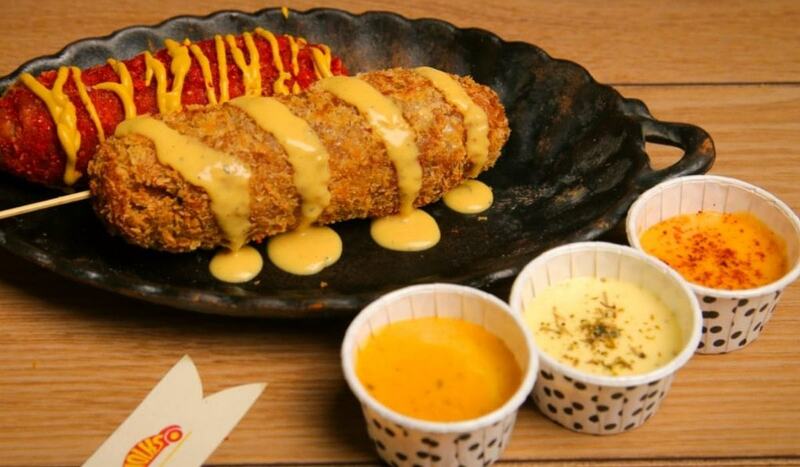 Tantuni House's Saad Bhatti feels the stall price isn't commensurate with the organisers' marketing efforts, due to which he says his sales suffered. "I'm only partly happy with my sales because the marketing by the organisers was far from satisfactory. Sure, the festival was well-attended but having lots of people come is one thing and marketing a brand to highlight its salient traits is another. If someone is introducing a certain cuisine for the first time in Pakistan, that brand should be highlighted as such. My issue is that no one knew what tantuni [a kind of meat-stuffed Turkish wrap] was. My own marketing efforts were limited to my reach and contacts. All of the organisers' marketing was focused on themselves; we see Karachi Eat and CKO written everywhere." But a great return on investment is only the most basic of benefits stall owners enjoy at Karachi Eat. More than making a buck, stall owners are concerned with connecting with potential long-term customers and making a lasting impression on them. And while marketing may be basic on the part of the organisers, wooing customers comes easy to food vendors at the event. As BabaMoo's Nabeel Abbasi puts it, "No one provides a platform like Karachi Eat. Even social media doesn't let you reach 200,000 people in one go." Take the case of Sweet Escape, whose brightly coloured Jolly Rancher cotton candy flooded our feeds and sparked many an episode of Instagram envy. 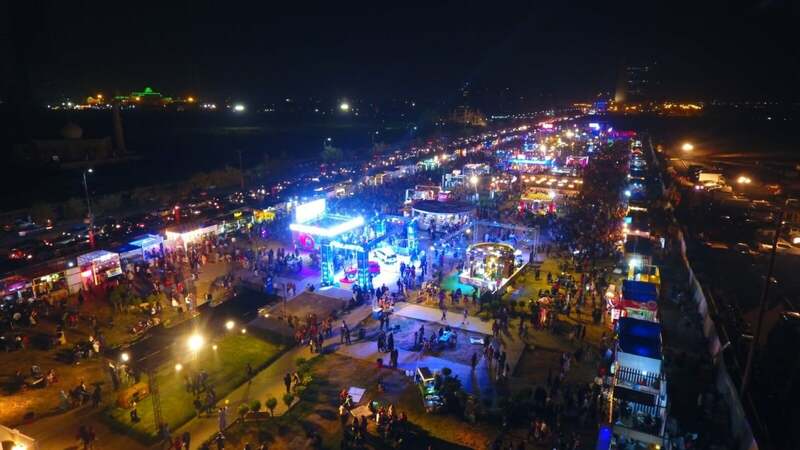 Owner Hasan Soni says he's been bombarded with messages on social media and got on-the-spot invitations to participate at carnivals and other events. Similarly, Sweet Greens whose red chili tacos were a hit, found that "customer engagement went through the roof" after Karachi Eat with owner Ovais' phone buzzing nonstop with social media alerts. 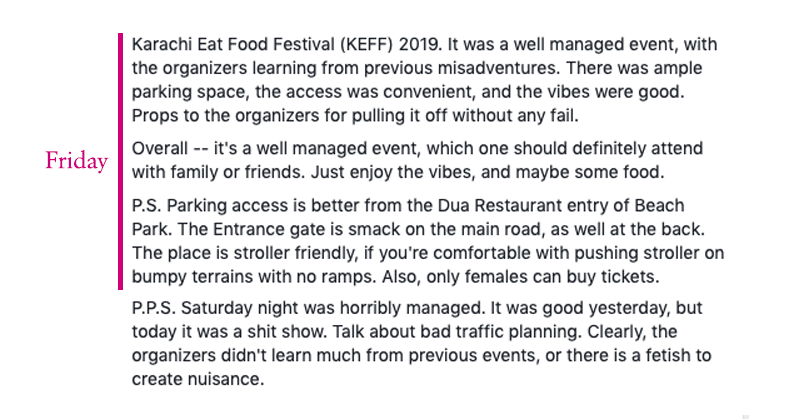 Even the skeptic Saad Bhatti of Tantuni House admits that though he received no immediate monetary benefits, participating in KEF allowed him to connect with future customers and says he's received multiple offers for catering and events. Reportedly, even would-be customers are converted. 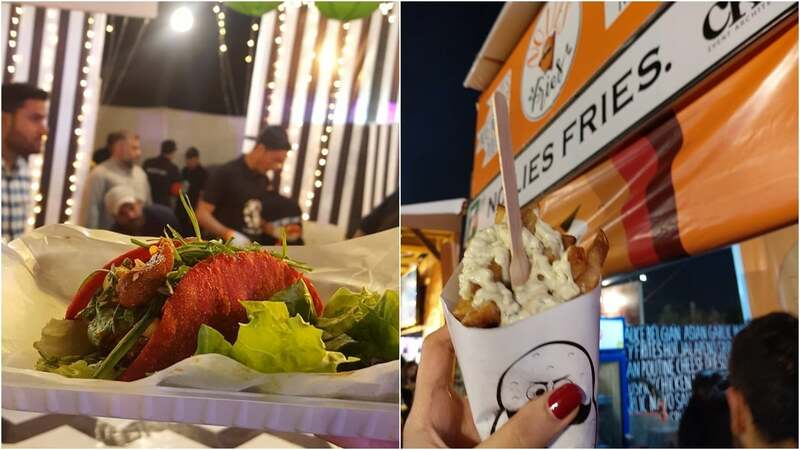 No Lies Fries' Muhammad Abdullah Jatoi said he's receiving equal attention from customers who liked what they ate at KEF and those who missed out due to long queues. "They show up at the restaurant! We have hundreds of messages on our Instagram and Facebook pages asking us if we will be serving our hot favourites from the festival! We are a food-centric nation and no one wants to miss out. So everyone who did miss out will be rushing to our outlet. It’s a win-win situation for customers and me as an owner!" Moreover, at Karachi Eat, established eateries are offered the opportunity to revive interest in their brand. "Sales was not our priority since we have a running restaurant. Our main goals were to launch our new products, get feedback from customers, bring back the Babamoo name and get some fresh publicity," says Abbasi. 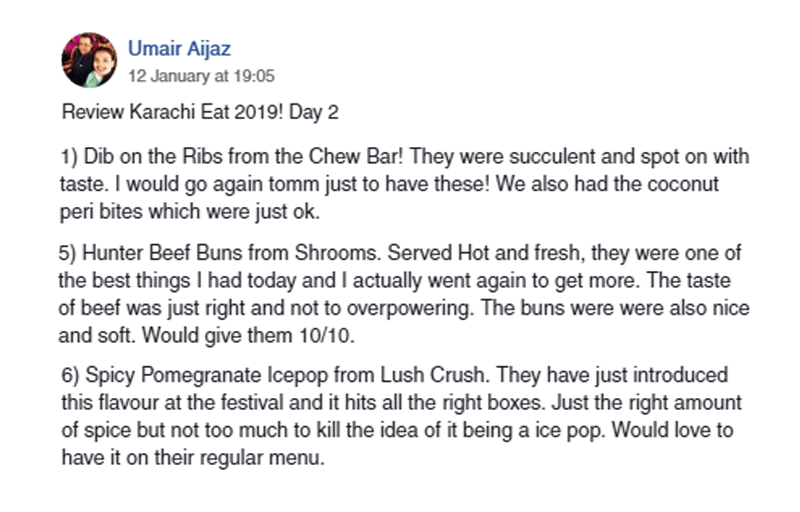 And it worked: "On the Tuesday after Karachi Eat, we reopened our restaurant but didn't expect a lot of footfall as the festival had just happened. But I got a call from the staff asking me to rush to the restaurant because there was a massive rush of customers and they needed help in the kitchen and on the floor." Mariam Farrukh, owner of Amiamo says, "KE was a great experience for customer engagement. With such a huge turnout it helped to serve our customers plus engage with new ones where they could taste our new flavours and the existing ones which have created quite a stir already." However, the feedback has yet to translate to footfall at the restaurant, she adds, as it's too soon since the event. The fest also helped brands test out their new products. Fahad Moten of Sol says, "For us it was more of a testing ground/proof of concept for hand-crafted sodas and we are very pleased, even overwhelmed, with the response we got for our Butter Beer." "There were mixed reviews to our paan ice cream. Some liked it, some made faces at the first bite/thought of it. We started handing out testers for people to try before buying it and some were taken by surprise about how good it tasted," said Hasan of Sweet Escape. So Karachi Eat is great for making money, improving brand awareness and testing new products, but what of the customers? Managing an event of such magnitude is no easy feat; the organisers are expected to keep the vendors and customers happy, however, each year the management runs into numerous hiccups, the most common ones being traffic, extensive lines and crowd control. Omari explains: "I think the venue was a great choice as it had great parking facilities (more then we have had at any venue in the past). It also does not disturb the city traffic as has been the issue in the past. The space was not at capacity, we slowed down the process of entry when we saw a flood of visitors at the ticket counters and entrance area. This is done to disperse crowds so that there is a manageable flow." That said, except for the first day, customers felt the event was extremely chaotic and not child-friendly. The long ticket queue and stall lines added to peoples' frustration. But Karachi Eat has proven to be bigger each year, attracting thousands from across the city, which left even repeat vendors under-prepared for the massive crowd - their primary complaint was food running out. "The major lesson learnt was you can never prepare enough for Karachi Eat! We were a success last year and owing to that I decided to prestock the amount that I sold last year which was around 400kgs of potatoes for the three days before hand. And my stock had finished by Friday 10pm. Stock that lasted for three days last year finished the first day this year. I had to shut down my restaurant on the weekend and restock. We ended up selling a total of 1800 kgs of russet potatoes!" says Muhammad Abdullah Jatoi of No Lies Fries. "You can never expect the crowd at Karachi Eat. You can never estimate the stock you need. Last year, the stuff we prepped for three days was sold out within five to six hours," says Babamoo's Nabeel. "This year, we took thrice the amount, we were sold out on Saturday night. We didn't have anything left for Sunday. My partners and staff, were up all night to procure stuff We went into Sunday without any sleep." "If we had forecasted higher sales, we would've stocked better. We sold out thrice the first day!," says Mujtaba Raza of Pizza L'oven. "The first time was within a few hours and we had to call in for supplies stocked for the next day, which sold out again in another few hours. 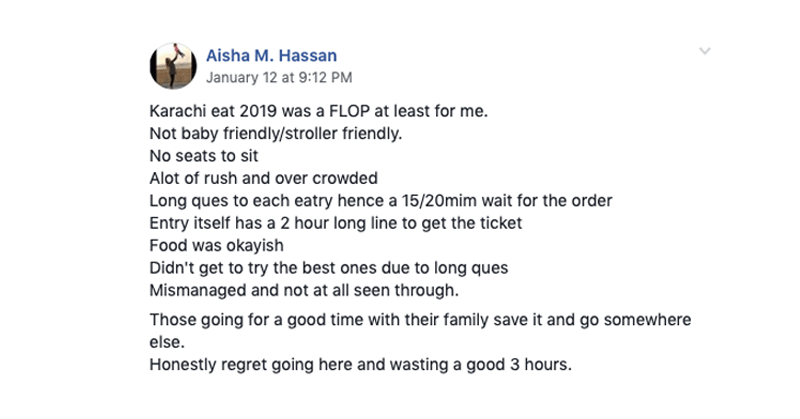 We ran out of our two-day stock less than fours hours into Karachi Eat. We tried to be as prepared on Saturday, but we were met with an even higher demand." Sugarmama's Aisha Bandukda says, "Since I’m a home based baker, there was a certain quantity I could prepare for the event. We had to produce more in order to serve our customers on Sunday. "I, along with my friend Ali, stood there serving the customers at the front and we didn’t get a minute to sit or rest. My family and friends took over the orders and prepared them. I might want to bake more because I could have definitely sold more. The Bonbons were solely baked by me so there were limitations as far as the quantities were concerned." Other vendors, like Sol ran into teething issues on the first day. "We wanted to dispense the soda from our taps but when the kegs came in they kept foaming as they had rocked a lot during the trip to the stall and had warmed up. We served drinks that were not cold nor carbonated enough." But the management seems to have served many of stall owners well and provided them with good service and support. Mariam Farrukh of Amiamo says, "The organisers were great at facilitating us in terms of all the facilities, including the expected crowd. We think they did a fabulous job of pulling crowds to the event considering the various festivals which have popped up and happened leading up to the event." "For newbies likes us, the management guided and helped us with such a mega event. The information they provided us with was extremely beneficial, hence we were able to forecast and train ourselves accordingly," says Sweet Greens' Ovais. "We were in constant touch with the organisers on WhatApps and on call. They had an amazing team." "We've done a lot of events this year but nothing compares to Karachi Eat in terms of footfall and management," says Babamoo's Abbasi. "Big events around the world face some glitches but that's part of the game. Overall, they've improved. Back in 2013, I was helping a friend with a stall at the KEF that took place at Frere Hall. I remember the issues back then, they've overcome all those problems. They have third party vendors managing everything from electricity to security. Plus, hats off to the organisers because I would give them one call for an issue like vendors getting stick at the gate or our stall size being too small and Cyra Anklesaria would come running to us and have the problem solved in a minute." 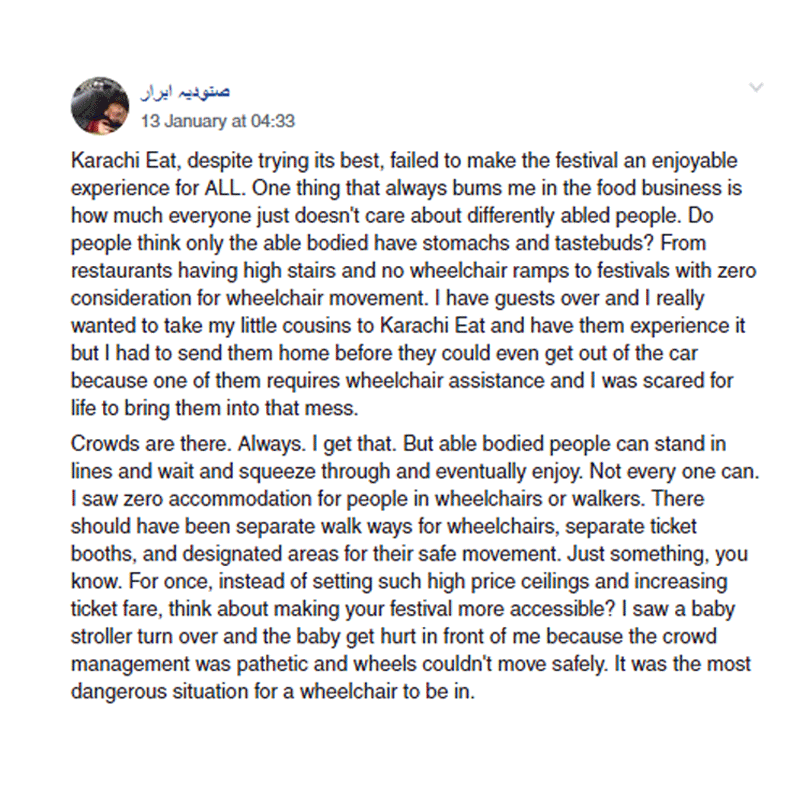 Customers and vendors alike had suggestions on how Karachi Eat can improve next year, like making it more feasible for people with disabilities and cutting down the ticket price. Stalls owners quip that the management could look for a more suitable location which can accommodate quick runs to restock without running into traffic. "As a vendor, I would have liked to set camp at the stall. So that none of our customers would have had to wait. Last year, No Lies Fries had hour-long lines for order and pickup. This year only our order line was long, except when we were running out of stock," says Muhammad Abdullah Jatoi. "For next year we really want them to focus on the vendors loading/unloading routes. This time our entrance was after the customers entrance and as the day went on, it was getting hard to restock because of traffic. So these logistics need to be made easier," says Sol's Fahad Moten. Pita's Ahsan Asaad feels that the management could have done a better job at keeping the food vendors informed about the expected crowd, "There is a collective WhatsApp group with all vendors on it. The organizers can provide newbies information on how much to generally expect to sell given their stall's location. They can also update their estimates based on number of tickets sold or as per the queue outside the venue to keep vendors prepared. If vendors know that a huge queue is forming outside they can stock half an hour to an hour before the rush hits." Churrosity's Farrukh felt that the fest needed more pull. "It would be highly recommended to take on board well-known singers, venue should have wide walkways to easy flow of potential buyers & management should increase their efforts in promoting brands on their platform to get maximum mileage from investing in a stall in this event." Of course it is worth it. It is a social function. Well done karachi. You should have invited people like Mark Wein. KEF management should think about how they could make it accessible and reachable for families living in Orangi/Korangi Town and other slum areas, Right now, it appears to be limited for Elite class only. when you read something good about your country and your city where you were born, the pleasure turns into pride. Thanks to event organizers, management, people who participated and audience who came and shared their views. What management can do they can do these kinds of programs district wise so everyone in karachi can be a part of it. Select stalls district wise too so ppl can make an extra income from that and bring local ppl together to make this a success... and make it accessible for differently able people. They have a heart too and who knows that able people turn out to be a hero, and come up with a different story or idea.... LETS MOVE TOGETHER IN NAYA PAKISTAN!! Karachi is now the foodie capital of the world why does the Embassy in Washington do nothing to promote Pakistani cuisine? Inflated prices, small food portions, unmanageable crowd. First and last time I've been to KEF.